Yesterday, I had the urge to bake Gingersnaps. I must be thinking of Thanksgiving and all the Holiday cookies that everyone is going to be baking. 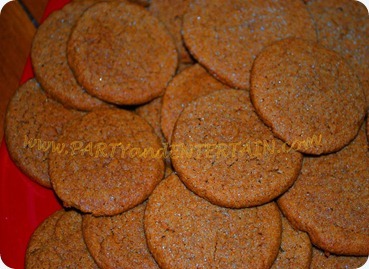 Ok, what I really wanted to do was eat about 1/2 dozen fresh from the oven gingersnap cookies. I wanted them now. I wanted to eat warm gingersnaps cookies. 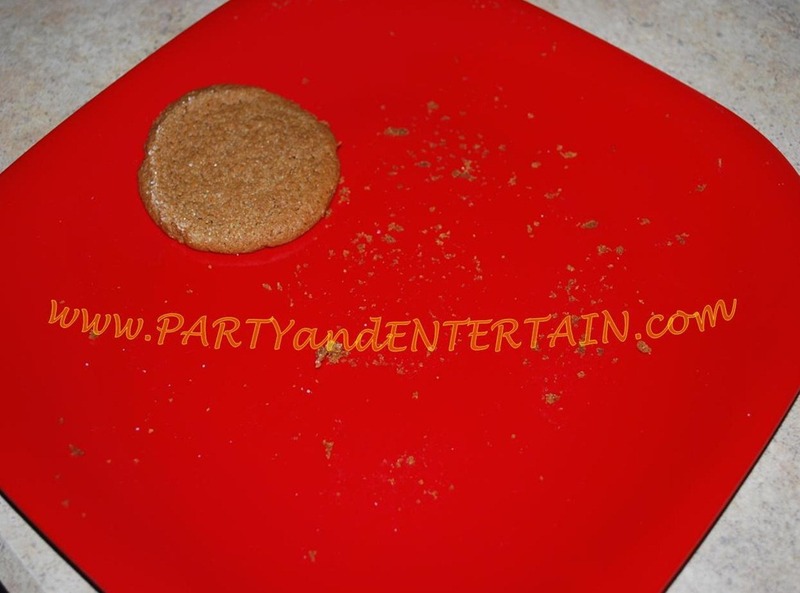 When the Holiday season comes I am always in the mood for fresh baked cookies with easy recipes. I went in search of an easy gingersnap recipe. The recipes I found for gingersnaps needed molasses, egg, vanilla flour, baking soda, butter, dark brown sugar, cinnamon, ginger, cloves, parchment paper… are you starting to get my dilemma? Then you had to cover and chill for 30 minutes, roll and flatten. I love fresh baked cookies but, really, this was way too much for me. I went to my local Publix which is less than 2 miles from my house. Parked, walked in, went straight to the baking isle to see what Betty had put on the shelves. Lo and behold there was a package of Gingerbread cookie mix. I grabbed a couple packages and made my way home. I was ready to bake some Gingersnaps! I could almost smell those fresh baked cookies! I went to the kitchen, opened the pantry and retrieved my trusty mixer (gift from my DIL) and placed it on the counter. I opened the refrigerator, got 1 egg, and my tub of I Can’t Believe It’s Not Butter. I then opened my Betty Crocker Gingerbread Cookie Mix, poured it into the mixing bowl along with my 1 little egg, 1/2 cup of I Can’t Believe It’s Not Butter, and 1 Tablespoon of water. I was getting excited now! After mixing all the ingredients, I shaped my dough in little balls and put them on the cookie sheet then plopped them into the oven. Okay, I must confess I ate some of the dough! I know “they” say you are not suppose to do that, but seems like I have been doing it since I was a little child helping my Mamu bake back in the ‘50’s. Why stop now? The aroma was filling my house! Oh my, I could hardly contain myself waiting for those warm yummy cookies to get done! When that buzzer went off, after about 10 minutes, my mouth was watering! I grabbed the spatula and started scooping up those beautiful, round warm, gingersnaps. Confession #2, the first 2 cookies did not make it to the cookie plate and they were soooo dang good! Just what I needed! My point here is I went to the store, baked homemade ginger snaps in less than 30 minutes using only 1 egg, 1/2 cup of butter (margarine), and a tablespoon of water! I took what was left of the cookies to a small gathering at a friend’s home and they were gobbled up in no time! 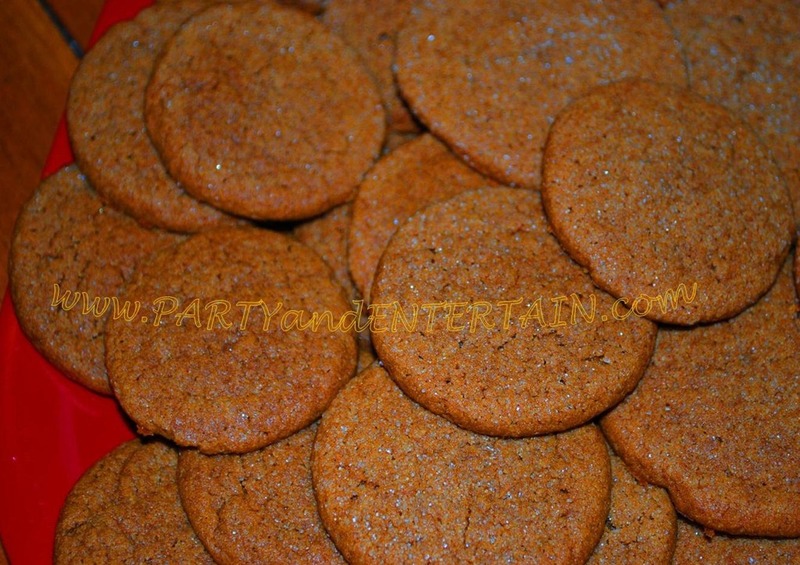 The gingersnaps were a huge hit and so was I for baking them! Why spend hours gathering, mixing, and baking cookies when you can buy a packet, mix, bake, and take away in less than 20 minutes? Share your quick baking tips with me and my readers.